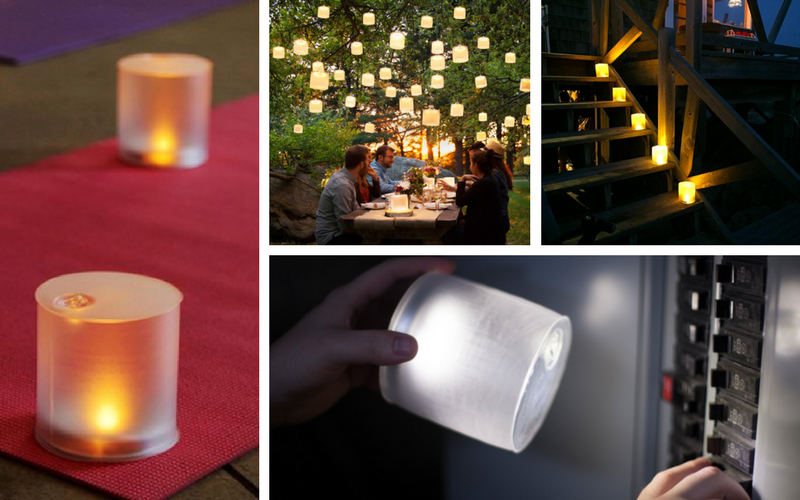 Buy Any Luci Lantern & Get The Second For 50% Off! Lightweight, waterproof and shatterproof, Luci EMRG provides ultra-bright, reliable light to guide your way indoors and out, through blackouts or extreme conditions – anytime, anywhere and in any weather. Weighing only 2.5 ounces and featuring a red S.O.S. emergency flasher, the ultra-compact Luci EMRG has you prepared for any adventure, even the unscheduled kind! With adjustable flashlight lighting and a high-visibility red emergency S.O.S. flasher, Luci EMRG prepares you for everything that might come your way, from hurricanes and tornadoes to power outages and camping trips. Especially compact (weighs 2.5 ounces), the Luci EMRG fits easily into any drawer, pocket, glove box or toolbox. The Luci Essence is the next generation inflatable solar light from MPowerd. Featuring a whole new palette of 8 hues under a matte frosted finish, the Luci Essence is the perfect way to set the mood in your household. Create a peaceful space for yourself and your loved ones with the Luci Essence. Featuring 8 colors and a matte frosted finish, Essence creates a peaceful space for intimate celebrations and relaxing evenings in. Whether cycling through each shade or settling on one, Luci Color Essence adds a soothing touch to your home, taking decor to a unique new level. The Luci Lux comes in a soft frosted finish. The Luci Lux is an elegant light for home décor or patio lighting.Its warm, bright glow creates an ambient light perfect for summer dinner parties or a relaxing bath. And being lightweight, waterproof and solar, it’s a safe and sustainable alternative to candles. Just like candlelight, turn any moment into a magical experience by the warm, bright glow of Luci Lux. Luci Original is a no-frills, get-the-job-done kind of light. Bright, compact, and portable for any situation – from camping to travel to working around the house. Completely solar, Luci Original is a clean, reliable source of light just about anywhere you need it. Outdoor 2.0 is our newest and most versatile Luci light yet. With more light settings, it's brighter than ever and longer lasting than the previous generation of Luci Outdoor. The new adjustable bottom strap lets you attach Luci anywhere without needing an extra hook. Just as lightweight, waterproof and durable as ever, it collapses down to just 1 inch, giving you plenty of room for all your camping, hiking, climbing, kayaking or do-anything gear. Completely solar powered, Luci Outdoor 2.0 keeps you out of the dark, no matter how far off the grid you go. Luci Spooky is a howling success for Halloween decor, indoors and out. With three frightfully fun designs to choose from and four colors, Luci Spooky screams boo from every windowsill, front porch, tree branch and secret alleyway. Lightweight, waterproof and safe around kids, this glowing light is a smart and sustainable alternative to candles in jack-o’-lanterns and is the perfect magical light in little monsters’ hands.